Rabbi Karol joined Temple Beth-El on July 1, 2011 to serve as spiritual leader of the congregation. 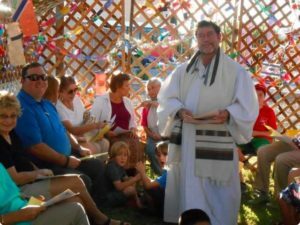 He has extensive experience in Jewish education and communal activities, innovative worship services, Jewish musical creativity and interreligious and multicultural programs. His wife, Rhonda, is an experienced educator of young children who holds a masters degree in Jewish Communal Service from Brandeis University. She has taught classes in Religious School for over 30 years and, most recently, directed the Early Learning Center of Temple Israel in Portsmouth, New Hampshire. Their son, Adam, is a 2008 graduate in professional music from Berklee College of Music in Boston. He currently works as Digital Communications Coordinator at Central Synagogue in New York City. Adam married Juliana Schnur, a student in the rabbinic program at Hebrew Union College-Jewish Institute of Religion in New York City, in February of 2015. Rabbi Karol was born in Kansas City, Missouri, where both of his parents also were born and raised. His father and mother, Joseph and Ruth Karol, were active for 40 years at Congregation B’nai Jehudah in Kansas City, teaching religious school and serving as leaders of Temple auxiliaries. 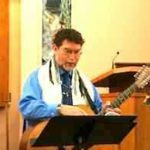 Rabbi Karol attended University of Illinois in Champaign-Urbana, graduating in 1976 with a Bachelor of Arts degree in Liberal Arts and Sciences (with a major in Sociology and a minor in Religious Studies). 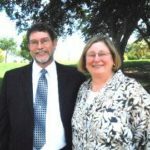 He was ordained at Hebrew Union College-Jewish Institute of Religion in Cincinnati in 1981, and has served congregations in Dayton, Ohio for three years as assistant rabbi; 22 years as rabbi of Temple Beth Sholom in Topeka, Kansas; and five years as rabbi of Temple Israel in Dover, New Hampshire. During his years in Topeka and Dover, Rabbi Karol made his service to his congregation the main focus of his rabbinate. He assumed a wide range of responsibilities, including director of education, coordinator of music for worship, newsletter and e-mail update editor, and duties in the areas of leadership, learning, pastoral care and spiritual development. 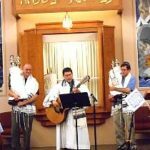 He sees himself as an equal partner with congregants in enhancing Jewish life in the congregation and bringing the best of Judaism and Jewish values to the Temple community. Rabbi Karol’s work in schools, on community boards, on state commissions and as a major leader in local interfaith organizations have been the hallmarks of his service to the community. He received awards in Topeka from the Brown Foundation for Educational Excellence, Equity and Research and the Living the Dream organization for his commitment to creating understanding in the community. Wentworth-Douglass Hospital in Dover, New Hampshire presented him with the annual Spiritual Care Award in 2010. 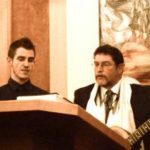 In the past eight years, Rabbi Karol has become known for his musical contributions to Jewish life, both as a songwriter and performer. 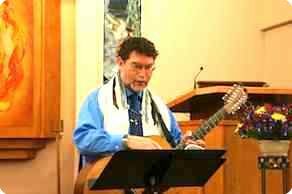 Many of his tunes have emerged from Scripture and have found an audience in Jewish and interfaith settings. He has released two compact disc recordings of original Jewish music, “Two are Better Than One” in 2003 and “A New Beginning” in 2005, and a songbook, “One Light Above: The Larry Karol songbook” in 2007. His third album of original Jewish music, “The Road Ahead,” was released in December of 2014. Rabbi Karol and Rhonda are enjoying getting to know members of Temple Beth-El and are active in the local community. Rabbi Karol is Executive Advisor of the New Mexico State University Interfaith Council, and Board Secretary for Peace Village of Las Cruces. He is convener of an informal monthly clergy breakfast and on the planning committee of an annual service to mark the International Day of Peace every September.